After ten years discovering the world and the flavours it bestows, Chef Scott Downey has returned to introduce Edmontonians to his interpretation of Canadian cuisine. 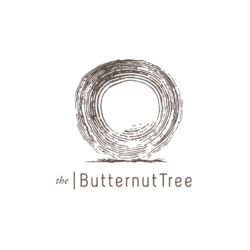 Opening August 2017, The Butternut Tree is just a stone’s throw from the beautiful Alberta Legislature Grounds close to Edmonton’s majestic river valley. Chef Downey’s first restaurant pays homage to the places he’s lived, worked and explored, while showcasing seasonal ingredients from Canada’s diverse landscape. The Butternut Tree focuses on replacing global sources of sweet, sour, bitter, and salty with unique ingredients from our home and native land. From budding foodies to seasoned supporters of local provisions and purveyors, this is the place where guests can experience the unexpected. Located in the picturesque corner of the restaurant, the “look-out” is accessible by a private entrance and is separated by a heavy, floor-to-ceiling sound curtain. This is the perfect setting to host an intimate dinner for up to 12 guests. The room features a handcrafted butcher block table, floor-to-ceiling windows, and wonderful fireplace to keep guests cozy during those cold Canadian nights. #101, 9707 110 St NW, Edmonton, AB | info@thebutternuttree.ca Copyright 2017 The Butternut Tree. All Rights Reserved.